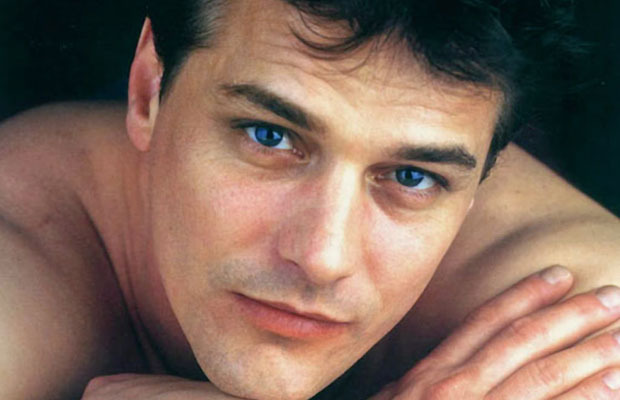 Paul Gross is a Canadian actor, director, producer, writer and singer. He is mostly well known for his role of Constable Benton Fraser on the CBC/CTV television series, Due South. He has also released two full length albums with David Keeley. Gross has won numerous awards (over 21) in recognition of his stage and on screen acting, including the Genie Award for Best Motion Picture in 2009 for Passchendaele, a movie he not only starred in, but also wrote, directed and produced. Paul Michael Gross was born in Calgary, Alberta in April 30, 1959 to parents Bob and Renie Gross. Paul is the oldest out of two brothers and even though he was born in Calgary, Alberta, he has practically lived all over the world, as a result of his fathers’ occupation in the Armed Forces as a Tank Commander Officer in the Canadian Army. As a result, his family would move once every 18 months or so; staying in places like Canada, England, Germany and the U.S. It was when Paul was in his early teenage years, while in Washington, that he was introduced to acting and subsequently he acted in plays like Canterbury Tales and Faustus. And by the age of 14 years, he started doing television commercials. The Gross family finally moved back to Toronto and Paul proceeded to graduate from the Earl Haig Secondary School. He then studied acting at the University of Alberta in Edmonton, but ended up leaving during the third year of his degree. However, he later went back to properly complete the credits required to receive a degree in fine arts. He continued to act, appearing in several stage productions like Hamlet, Romeo and Juliet, Observe the Sons of Ulster Marching Towards the Somme and As You Like It. Gross then starred in the movie Turning To Stone (1985), in which he made his debut. Throughout September 2011, he continued to appear in a production of Noël Coward’s Private Lives in Toronto co-starring Kim Cattrall, faithfully following it when the production moved to Broadway where it opened on November, and closed on December 2011. Paul Gross’ s biggest role came in the form of an upright Royal Canadian Mounted Police officer named Benton Fraser in the television series, Due South. The series succeeded in bring Gross unanimous praise and recognition for his skills as an actor. While initially Gross was reluctant to play the role, he later relented and was cast as Constable Benton Fraser. When Due South was resurrected for a third season, Gross respired his role as Benton Fraser and also took on the duties of executive producer and writer. During his time on the show, Gross earned an estimated salary of roughly $2 to $3 million per season, which made him the highest paid actor in Canadian television history at the time. As a writer for the show, he has written and contributed to several episodes of the last season of the series. Following his success with Due South, Gross has continued to work as an actor. In late 1999, he appeared in the Canadian television movie Murder Most Likely (1999), which was the first movie from his production company, WhizBang Films. He has also starred in Passchendaele (2008), Barney’s Version (2010), Gunless (2010), Speedy Singhs (2011) and Hyena Road (2015). He is currently married to fellow actor Martha Burns, and is the father of two children.